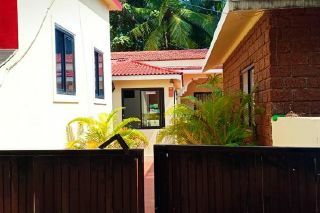 Situated just 1.4 km away from Vagator Beach, this is an offering of a shared homestay that can accommodate up to three guests. Amenities such as the services of a caretaker, pick up and drop, room and housekeeping services are offered for added convenience. 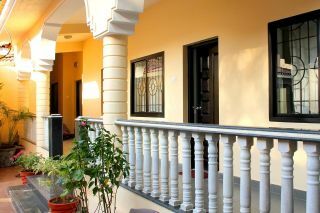 Your Space Surrounded by greenery, this traditional Portuguese homestay is enhanced by meticulously placed potted plants. 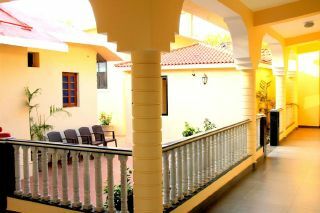 The property has a courtyard, where you can sit back and interact with travel companions. 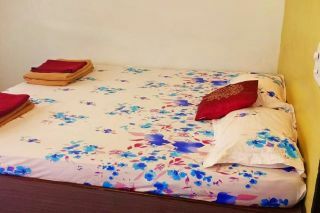 The room on offer is furnished with a comfy double bed and a dresser for dressing convenience. 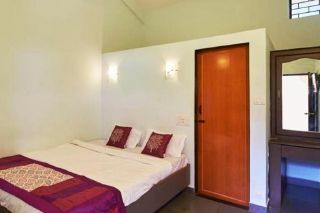 The en suite bathroom is well designed and fitted with contemporary sanitary ware. The pets are not allowed in this home. The guests are requested to provide valid identification at the time of check-in. Pick up and drop off on request,.